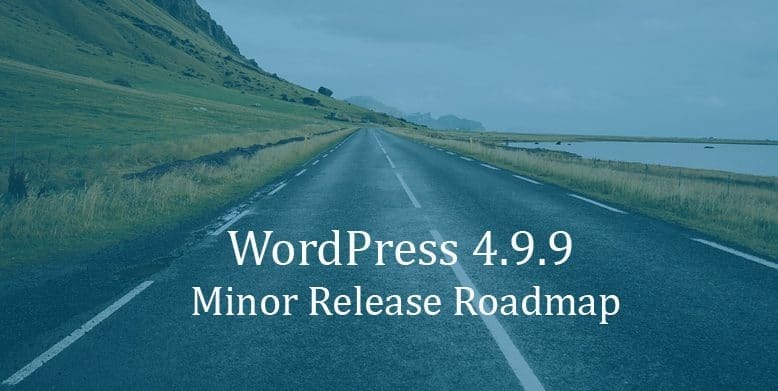 The WordPress 4.9.9 release leads published a minor roadmap for the release of WordPress 4.9.9 yesterday. WordPress 4.9.9 will be led by Anthony Burchell and Alain Schlesser. The minor release is targeted for 5th November 2018, with the first beta arriving near the end of October. The version 4.9.9 will carry several updates which include four key focus areas: Accessibility, Internationalization, the Site Health Project, and Gutenberg preparation. Any specific accessibility items about the release of WordPress 4.9.9 wasn’t clarified in the Roadmap. As per Anthony Burchell, “the leads see lots of ways they can drastically improve the experience for a lot of people with minimal effort”. The Internationalization focus is aimed at improving translations which ensure the date/time values work and RTL is supported. Contributors to the Site Health Project, previously known by the code name ‘Servehappy’ will be working on resolving issues that will allow users to stay on WordPress 4.9.9 while they prepare for 5.0 and will still have access to the information about how to update their PHP versions. User locale support in REST API endpoints. Endpoints to lock/unlock and release posts. The making of WordPress 4.9.9 is still in its development phase. And WordPress 5.0 is likely to arrive before the end of 2018. Next → Next post: Top 10 free themes in WordPress.org—August 2018.